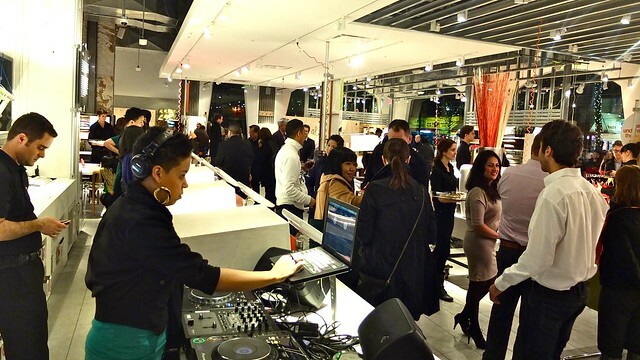 CB2 Crate & Barrel furniture store grand opening party on Robson Street on February 17, 2012. 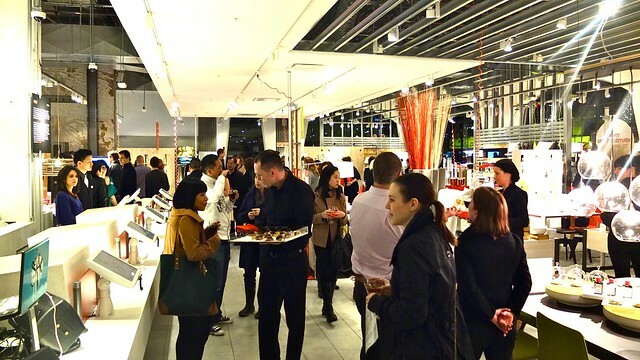 Half of Vancouver showing up to the somewhat trendy American furniture retailer Crate & Barrel's opening up of their brand new CB2 store in the heart of downtown. 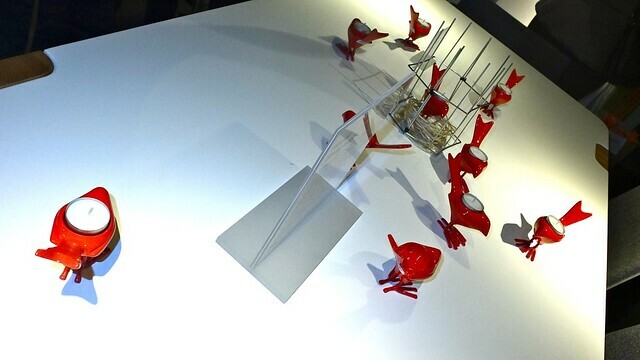 CB2 going all out with a decked out show floor, complimentary wine, beer, delicious catering, and artwork all around. 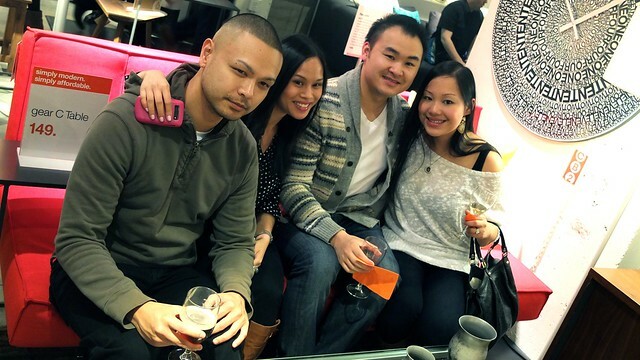 RJ Panganiban, Melissa Guillergan, Roger Lam, and Sophia Cheng enjoying their drinks, lounging about, and trying out the kitschy furniture. Hip Vancouverites like (above left to right) Alicia Quan, Melissa Knight, Cara McLeay, Nick Routley (not pictured), and Sophia Sengsuriya kicking off their Friday night in style. 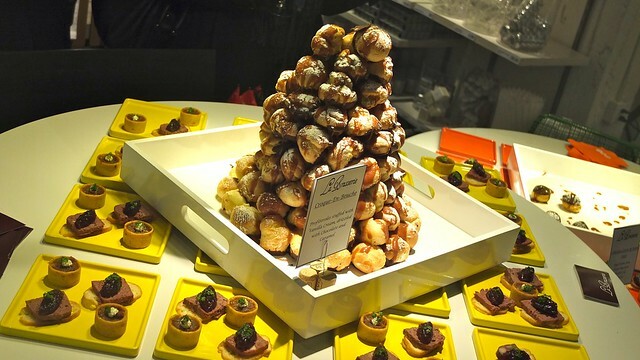 La Brasserie supplying a mountain of caramel cream puff desserts among the many treats in store. 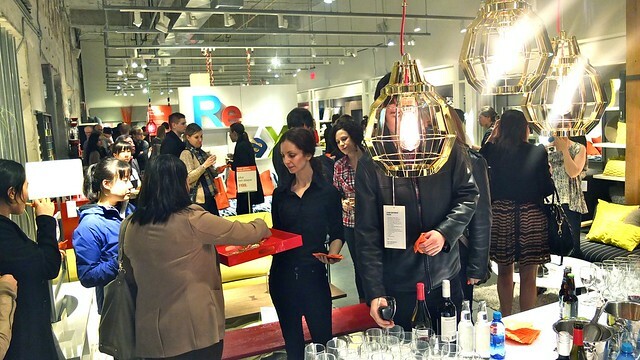 Customers abound mix and mingling while shopping, eating up the food and trendy decor and stylistic offerings from the new CB2.